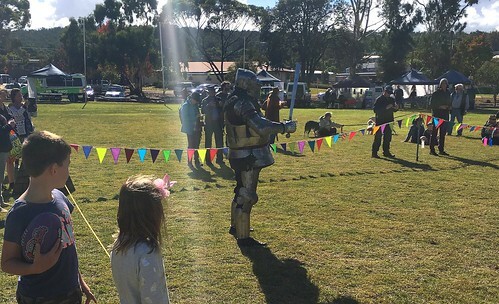 Had a great time today at the Wundowie Iron Festival, even if it was a bit windy. The rain cleared up by lunchtime for the most part. The Circle of the Sword and the WA Bezerkers (the WA side of the Historical Medieval Battles Scene) put on a great performance of longsword and melee battles respectively.